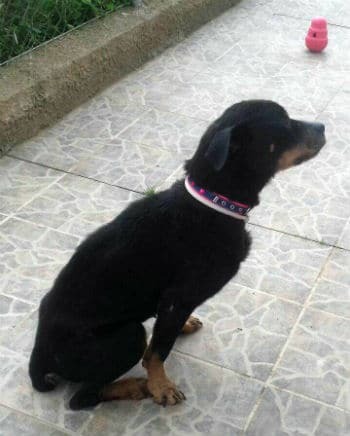 Special needs: NEEDS EXPERIENCED OWNER. 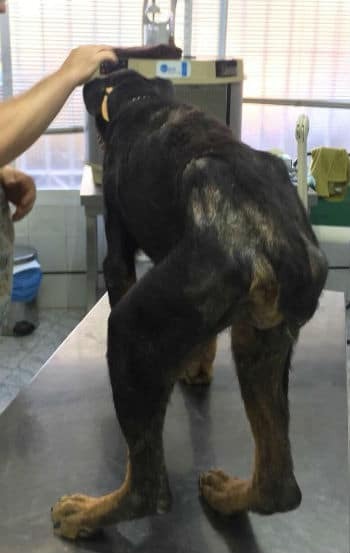 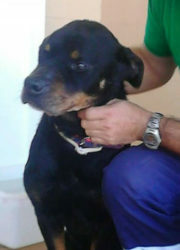 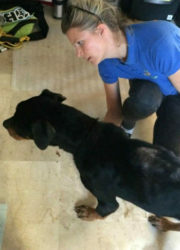 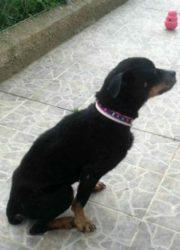 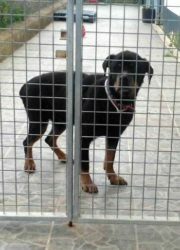 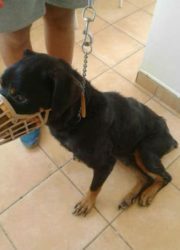 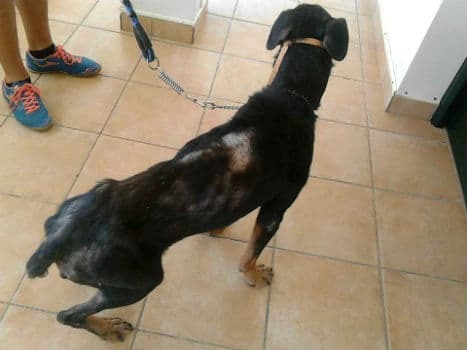 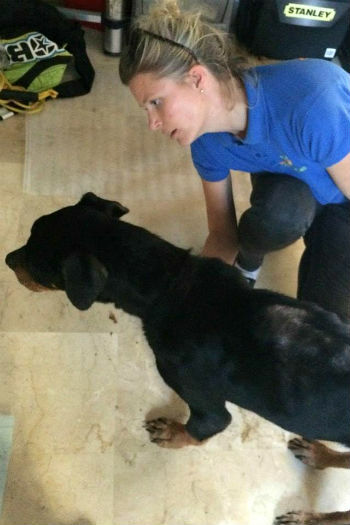 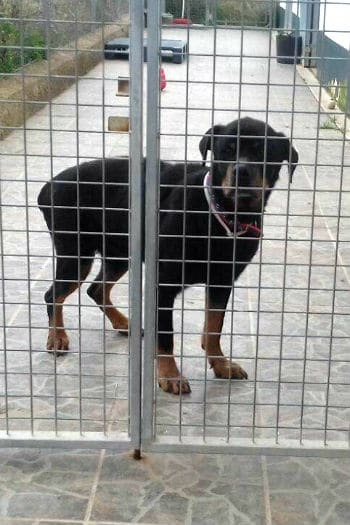 We want to introduce a dog called candela who has suffered a terrible life before she was rescued. 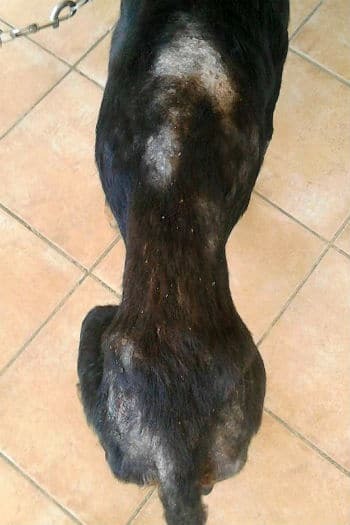 She has survived 9 years of systematic abuse. 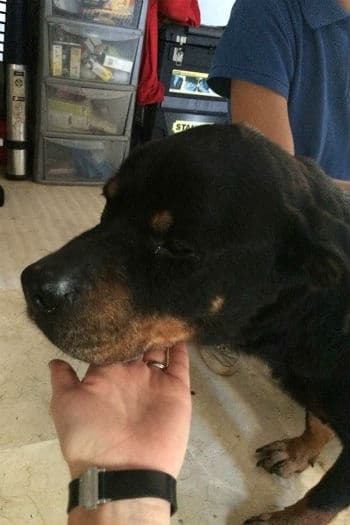 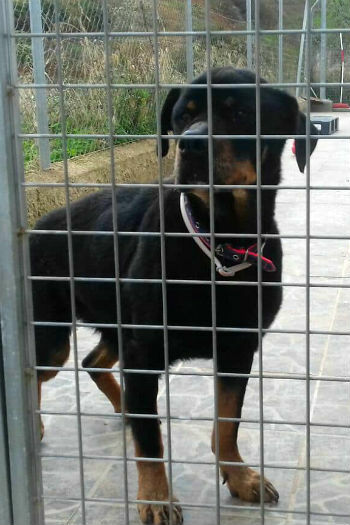 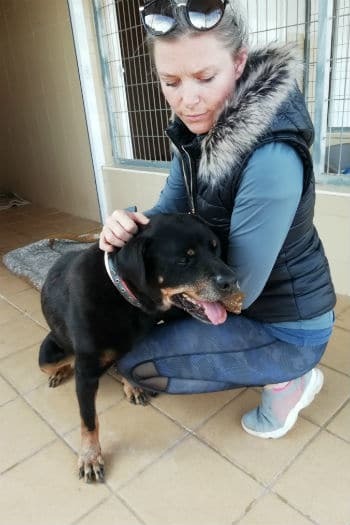 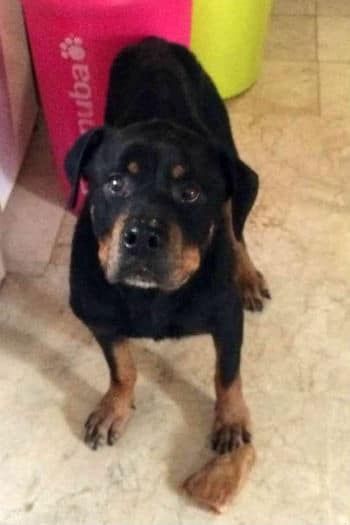 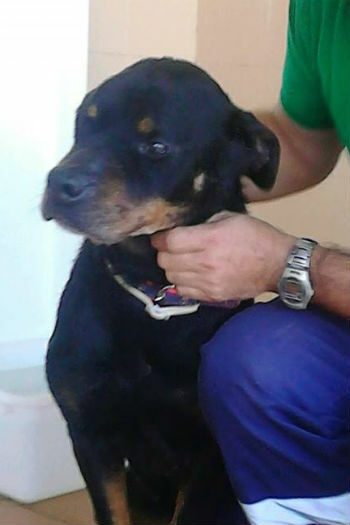 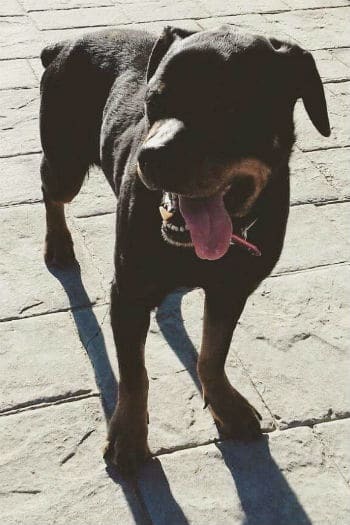 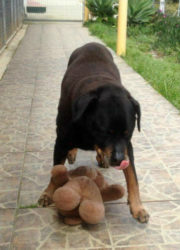 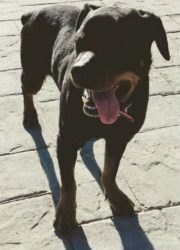 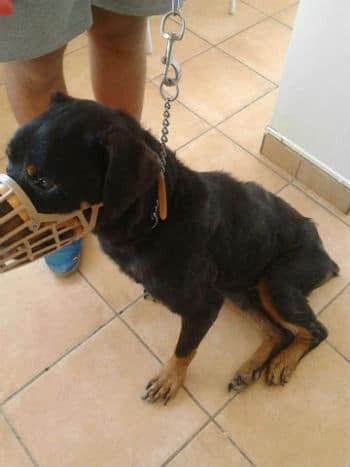 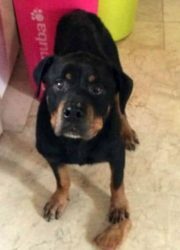 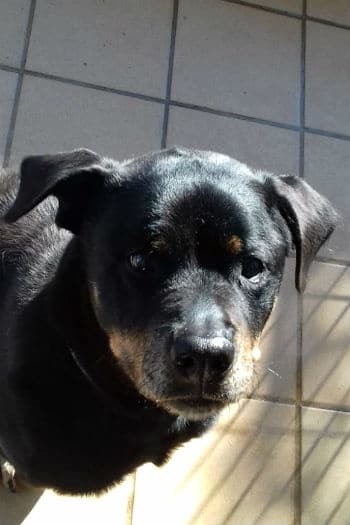 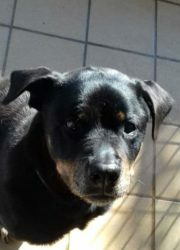 Candela is a 10-year-old Rottweiler who has had a very hard life so needs to go to an experienced home ideally with no other pets or a calm older dog. 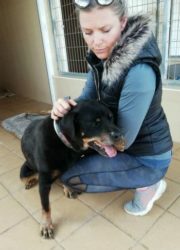 Ideally a single person or couple with no children. Candela is in recovery now. 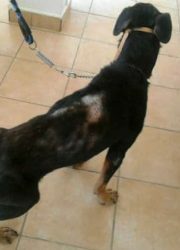 As you can see from her profile picture she has come a long way after a week in foster care. 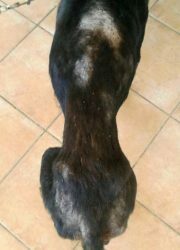 She has low-level leish and everything else has been treated. 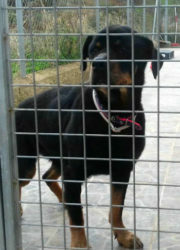 Please consider our girl if you can offer her the calm, loving home that she so desperately needs and deserves. 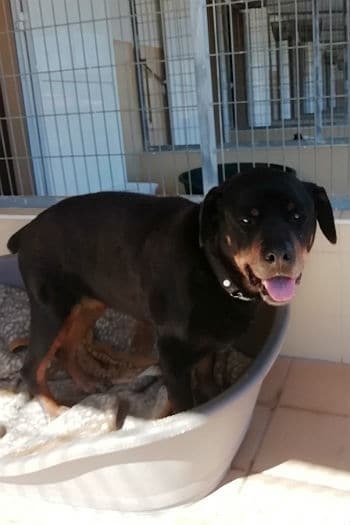 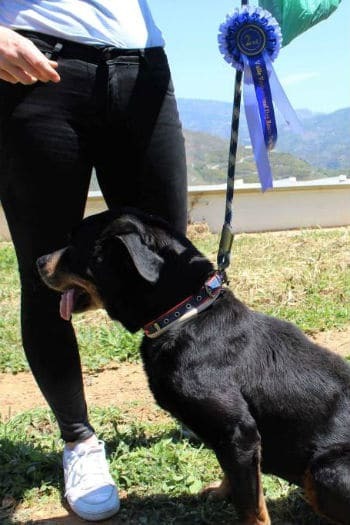 Update April 2019: Our Candela is a still looking for a loving home with someone who has experience with traumatised dogs. 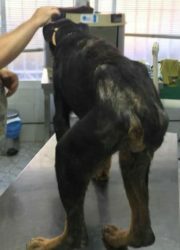 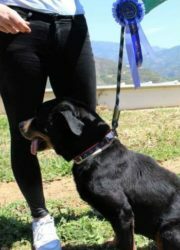 The latest photos of Candela (see below) show how far she has come since she came to us at the rescue. 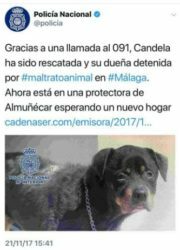 Candela also appeared on television last year. 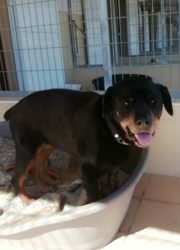 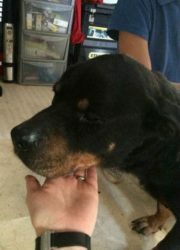 Can you give our special girl the love and care she desperatly deserves?